People ask me about 50bb poker strategy all the time. This is because there are several poker sites online that run these games and you can buyin with this kind of stack size in many live games as well. Some people will also call this mid stack poker strategy by the way. This is essentially the same thing as 50bb (big blind) poker. The two terms can be used interchangeably. A good 50 big blind poker strategy involves playing a wide variety of strong hands mostly in position and then playing them very aggressively after the flop. 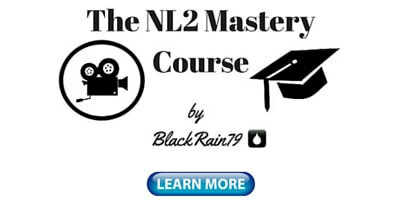 Mid stack poker strategy involves playing your draws and top pairs very fast in particular. Keep in mind that you cannot profitably set-mine with a 50bb stack though. Now I know that this is a bit simplistic. So I decided to write up this little guide which will give you the fundamentals on how to create an optimal 50bb poker strategy for the games you play in. 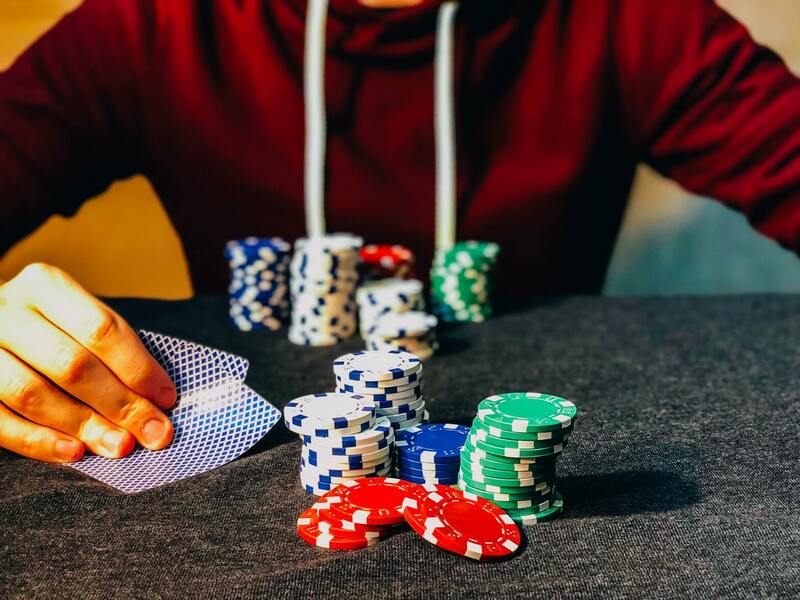 This guide will also hopefully help you full stack players understand mid stack poker strategy a bit better and learn how they think. This will in turn help you create better strategies to beat them. 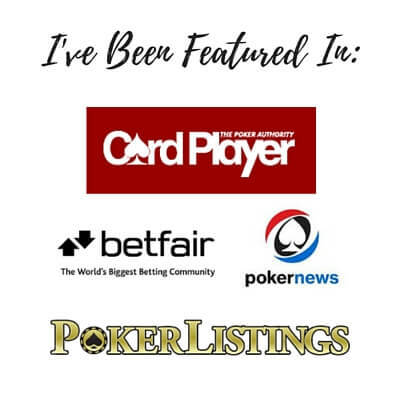 You can use a poker tracking program like PokerTracker in order to find out exactly which hands you are playing and find out exactly what the top 20% or 15% of hands are if you are unsure. Also, regardless of whether you play 6-max or full ring, you should be playing the majority of your hands around the button. The reason why is that the money flows towards the button in poker. Having position is just such a massive advantage and therefore you should be more active from these seats. So make sure that you are trying to steal the blinds regularly with a 50bb stack like you normally would with a full stack for instance. The same thing goes for 3-Betting. You should be using the exact same 3-Betting strategy that you would when playing with a 100bb stack. So for example if you normally 3-Bet with all big pairs along with AK and AQ, then you should do the exact same thing when playing with 50bb. The only difference with 50bb preflop strategy comes into play once you 4-Bet. 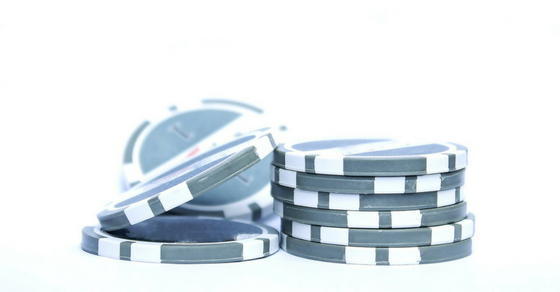 With a 50bb stack you can choose to 4-Bet with a little bit wider range than normal. For instance, say that you normally only 4-Bet with AA, KK, QQ and AK with a 100bb stack. Well with a 50bb stack you should consider adding in a few more hands like JJ, TT and AQ as well. The reason why is because if they do come over the top on you and shove all-in you have much better odds on a call. And this is just due to the mathematics of the stack sizes. A 4-Bet in poker typically represents a little over 20bb. Well, if you only started the hand with a 50bb stack, then you already have nearly half of your stack in the middle. Therefore it makes sense to call the rest off with a bit weaker of a hand. You can't do this with a 100bb starting because there are so many more chips to call off. Lastly, I also know from personal experience that full stacks are more likely to spaz out and ship versus a mid stack with a weak hand out of frustration. I have done it many times myself! So you could actually even find yourself the favorite when you make the call for all your chips with a hand like JJ. A big difference between mid stack poker strategy and full stack strategy is that you can't set-mine with 50bb. What do I mean by set-mine? in the hopes of hitting a set (three of a kind) and winning a big pot. The reason why you can't set-mine with these hands when playing a 50bb stack is because mathematically you just won't hit your set often enough (and get paid off) in order to make up for all the times you call preflop, miss the flop and just have to fold. However, this doesn't mean that you can't play these hands with a 50bb stack. You should. But the mid stack strategy is a bit different. Basically you need to be fighting for a few more pots and going to showdown with these hands unimproved a little bit more often. If you aren't willing to do this at least from time to time, than you are better off folding some of these hands preflop (especially the really small pairs, 22, 33, 44). 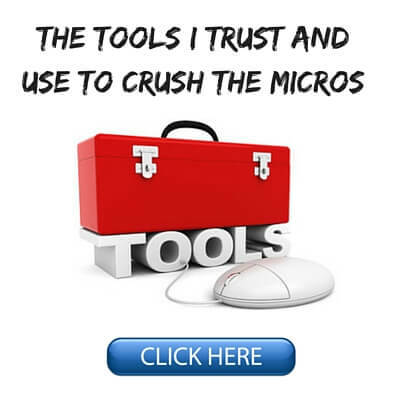 This is a big mistake that I have seen a lot of mid stackers make. I repeat, you cannot profitably set-mine with a 50bb stack like you can with a 100bb stack. Always remember this. The next thing that you need to know is that hands like top pair are much more valuable when you are playing a 50bb stack as opposed to a 100bb stack. You probably already know that most of the time when you are playing with 100bb it is not a good idea to get your entire stack in the middle with top pair unless you are playing against a really crazy fish. However, when you are playing with a mid stack the strategy becomes more like it is in Limit Hold'em in many ways. Since you are only 50bb's deep effective, the value of strong made hands like top pair go way up in value. And conversely, like we just discussed, the value of speculative hands like baby pairs, suited connectors and suited aces goes down. This is because there isn't enough stack behind (implied odds) for you to get adequately paid off when you finally hit. Or to put it another way, the upside just isn't as high. But with strong made hands like top pair or better you can play them much more confidently and even get your entire stack in the middle on many occasions with a mid stack. The best thing about a smaller stack size like 50bb is that it allows you to essentially cap your losses in any given hand. And it also helps deny your opponent's implied odds with drawing hands at the same time. So since you have a lot less to lose with 50bb compared to 100bb you can look them up more often with made hands, or even better yet start tossing the chips around yourself and force them to have a real hand! The last 50bb strategy point that I want to discuss is that when you flop a draw such as a straight draw or flush draw, you should play it even more aggressively than normal. The reason why is that you can't really afford to just call down and hope to hit later on like you can with a big stack as we just discussed. The implied odds just simply aren't there. So you need to make your decisions earlier in the hand with your draws and often the best play will be to simply raise the flop with them. But when you raise in poker, you can either win by making the best hand (still the same odds) or by forcing them to fold. Winning poker players always try to give themselves the most ways to win. Since you do not have those same implied odds (the big payday if you hit) with a 50bb stack you need to get a little bit more creative in how you play your draws. Often, increasing the aggression can be a good way to increase your equity and win more pots. 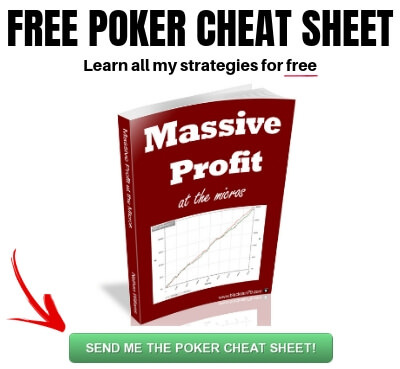 Creating a winning 50bb poker strategy really isn't that difficult. There are just a few important adjustments to made preflop and postflop. And this mostly just lies in understanding what your real equity is and also your loss of implied odds. Strong made hands like top pair go way up in value while speculative hands like draws and small pairs go way down in value due to the effective stack sizes. You can use increased aggression to increase your equity with your speculative hands as well. And with your strong made hands (top pair, two pair etc. ), you should play them more confidently than normal and get all the money in the middle more often. It is good to understand the ins and outs of a mid stack poker strategy like this because you can often find yourself playing against one. 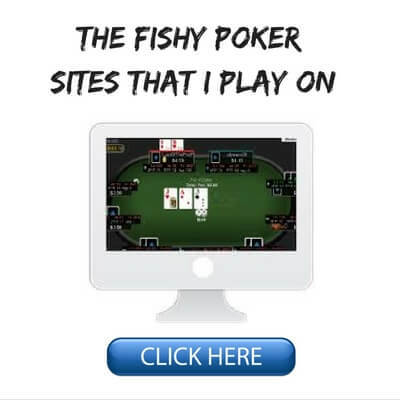 One of my top recommended online poker sites for instance, 888, only spreads 50bb games at NL2. At all higher levels you can play with a 100bb stack though. And if you play live, many casinos will allow mid stack buyins. So hopefully this article gave you a few pointers on how to play with a 50bb stack (or how to play against one), in the future. 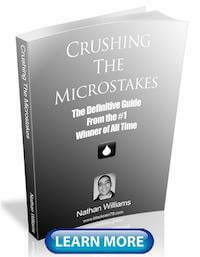 Make sure you pick up a copy of my free poker ebook if you want to learn more of the strategies that I used to create some of the highest winnings in online poker history at the micro limits. 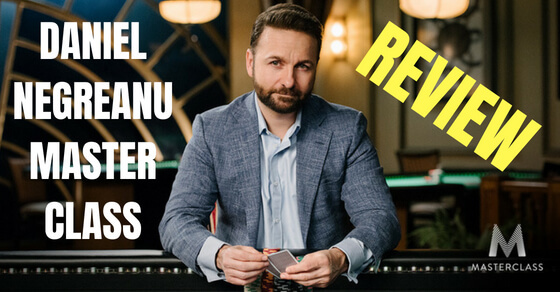 Let me know your thoughts on 50bb poker strategy in the comments below. Also, if you found this article helpful do me a quick favor and "Like" or "Tweet" it below. There are some very effective short stack strategies out there for like minimum buy in.The good thing is you need a small bankroll to start playing,minimize varriance and losses and ascend quickly up in stakes.However,you need to leave the table when you double up unless its super fishy and you can adjust to a 100+bb game. Ya I agree. I remember when Stars used to allow 20bb buyins and there were some very effective strategies that short stacks would abuse. They changed it to 50bb after many complaints from the full stack regs. 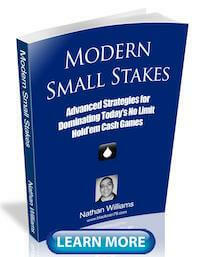 Hi Nathan - avid follower of your work, I have all 4 of your books etc and my winrate has soared. Quick question on set mining with 50BB effective - you state in this article not to do it whereas Jonatha Little's latest book (released recently - Fall 2017) talks abot set mining with only 40BB effective. If villain raises to 3BB leaving 37BB effective you are getting just over 12 to 1 if you call - which to my mind is break even given the odds of hitting your set. Are you saying break even is not enough? I guess that would make sense for the times when you make your set but villain beats you with a better hand at showdown. Awesome Paul, so glad my books helped you! I think you need closer to 15 to 1 to breakeven with set-mining when taking all things into consideration. One reason why is because their overpair still has equity by making a higher set or hitting a running flush for instance. I would personally just like to have a little bit more implied odds when set-mining so that there is a clear profit to be made. Assuming your stack is 100bb, what is your calling range vs a <50bb who shoves preflop, is TT good? This depends a lot on my position at the table. If I am last to act in the big blind I will call wider than if he shoves in EP and I am MP for instance. This is because there are so many more people left to act in the latter scenario who could wake up with a big hand. And it depends on the 50bb player's tendencies as well. If he is a super nit I might fold TT. If he is really loose I am calling. I should also add that it changes as well depending on how short he is. 50bb is a lot different than 25bb for instance. I am probably snap calling with TT versus a 25bb in all scenarios. This is not the case versus a 50bb stack. I go into depth on what exact hands to play from each position in my books. What range of stack sizes would this strategy be applicable? This strategy article is for 50bb stack sizes or close to it.